The Infuse 4G will also include a special edition of Angry Birds courtesy of Rovio Mobile that includes a "Golden Egg" level that, once completed, will offer users the ability to enter to win Samsung prizes exclusive to Infuse 4G owners. There will be a few accessories available at launch, including several cases, a vehicle dock, and a desk dock. DALLAS, May 5, 2011 — AT&T* and Samsung Telecommunications America (Samsung Mobile), the No. 1 mobile phone provider in the U.S., today announced the upcoming availability of the Samsung Infuse™ 4G. 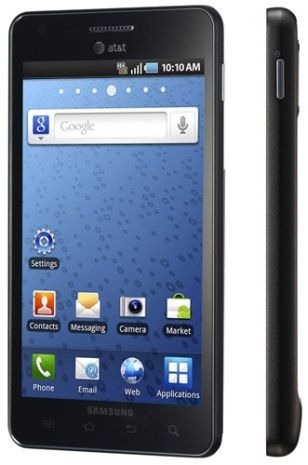 Exclusive to AT&T customers, the Samsung Infuse 4G will be the nation’s thinnest 4G smartphone at 8.99mm at its thinnest. Delivers the largest display in AT&T’s smartphone portfolio with a brilliant 4.5-inch screen featuring next-generation Super AMOLED™ Plus technology. Powered by a 1.2 GHz processor and the Android™ 2.2 platform, the Samsung Infuse 4G also boasts an 8-megapixel camera, and a $25 credit to download movie content from Samsung Media Hub. 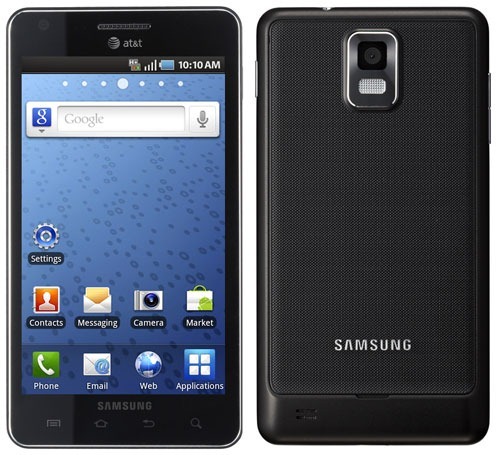 The Samsung Infuse 4G will be the thinnest 4G smartphone available in the U.S. and will feature the largest screen — at 4.5 inches — in AT&T’s smartphone lineup, and the largest touch screen on any Samsung phone. Powered by a 1.2 GHz application processor and running the Android 2.2 platform, the device delivers a brilliant display using Samsung’s next-generation Super AMOLED™ Plus technology which features 50 percent more sub-pixels for better contrast. The display also offers unmatched outdoor viewing quality, even in the brightest sunlight. The first 500,000 Infuse 4G units sold will include a $25 voucher for consumers to get started on downloading content from Media Hub. With Media Hub’s progressive downloading feature, users can start watching their content almost immediately as the rest of the file downloads to the Infuse 4G. Plus, all Media Hub content can be shared among five Media Hub-enabled devices on the same account. The Infuse 4G also comes with a 2GB microSD card with preloaded trailers for upcoming summer movies. To learn more about the Samsung Infuse™ 4G, visit www.att.com/mobilephones-news, www.att.com/infuse4G or www.samsung.com/mobile.